This was promising. Indeed, there were quite a few typewriters to be seen, some that had been in the mall for a while and some that were new to me. Prices were pretty good, and I ended up taking two machines with me. 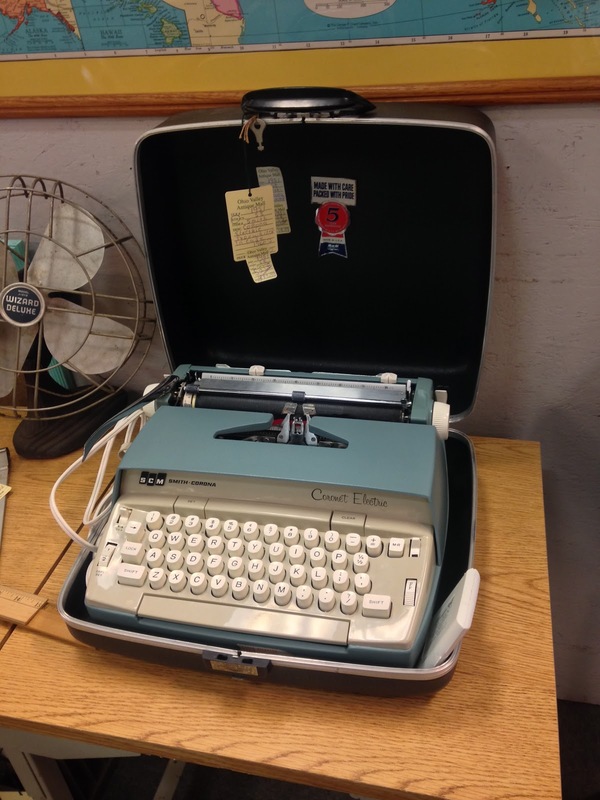 This Smith-Corona Coronet Electric was a mere $19.99, with a pack of correction tabs. 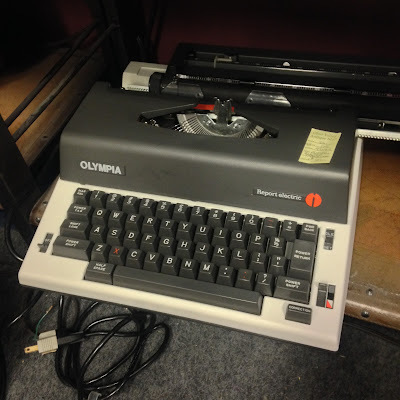 This Olympia SM4 had its own correction tabs, and a few issues: the backspace key and tab set key were in a low position, and the platen was hard. Price: $37.50. Here is the "vending area"—they meant the area with snack vending machines. 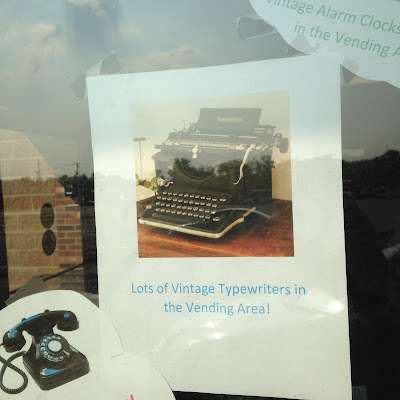 Realizing that there are people who come in especially looking for typewriters, the mall managers have evidently tried to round up a number of machines and put them on shelves here. I came home with the set of sheets that were displayed on the Royalite. They're for a correspondence course run by the International Typographical Union. The ITU was the oldest union in America, founded in Cincinnati in 1852. Elmer Brown was its director from 1958 to 1978. 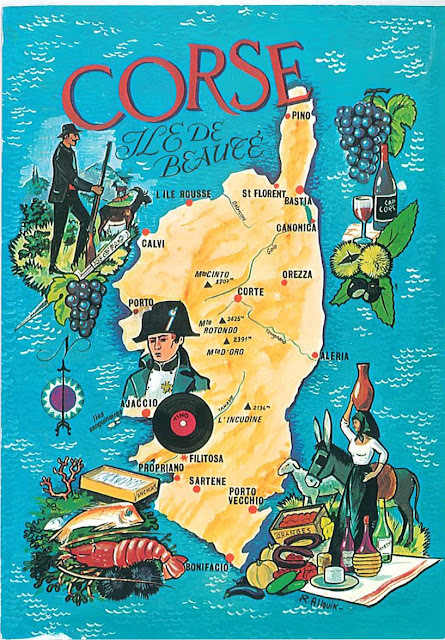 If you like the stationery above, you can download a PDF of it here. 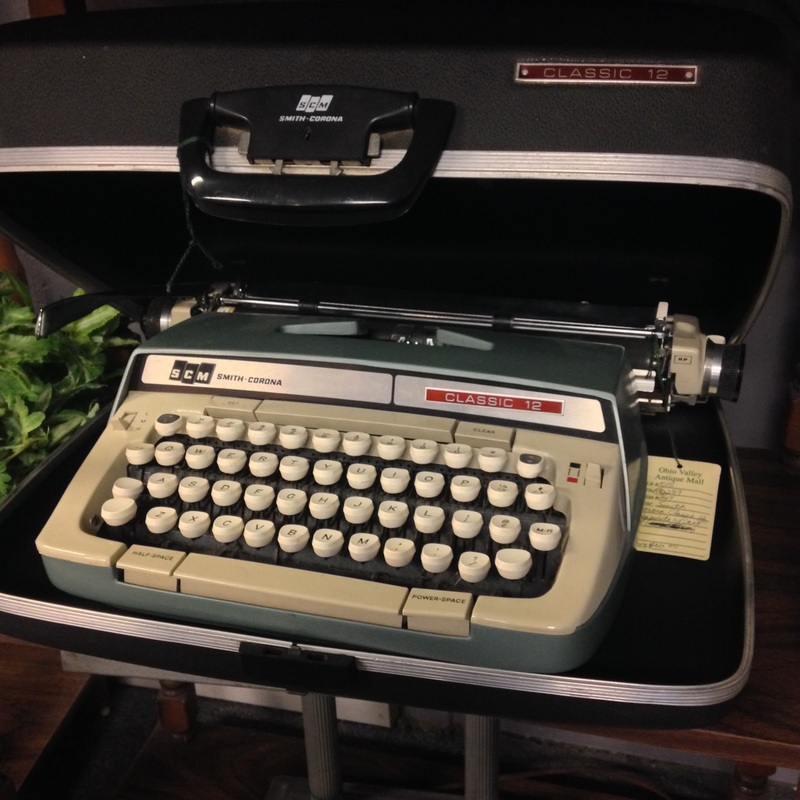 Back to the typewriters on display: here's a Smith-Corona Classic 12 for $40. ... very clean, very clean. $120. 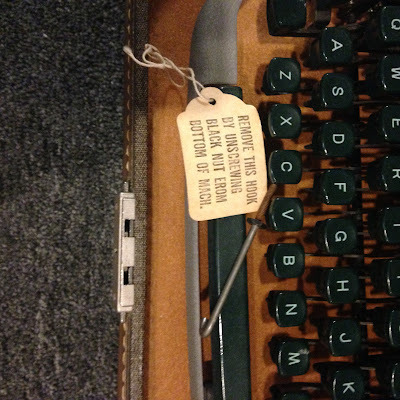 Very unusually, the Letter-Riter included some of the original packaging hardware that kept it in proper condition when it was shipped from the factory. This Olympia SG1 with the bent carriage return lever has been in the mall for a while. Finally, a Royal for $59.99. So here's the guessing game. 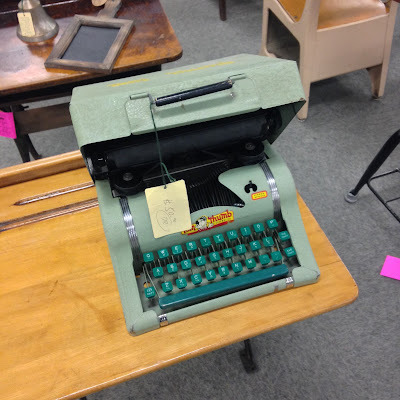 Which two typewriters did I buy? 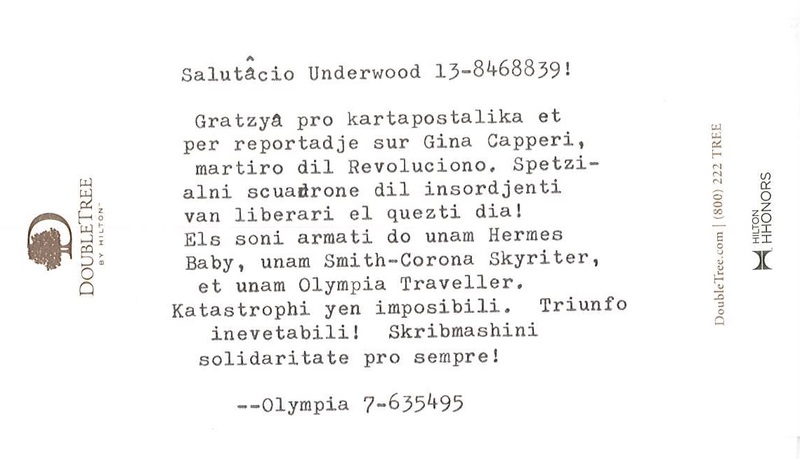 The first person to post the correct answer in the comments section will receive a letter in the mail from me, typed on an International Typographical Union form. I'll post the right answer in 24 hours in the comments. I need exercise, so every day I've been hiking ten flights of stairs to the top of Schott Hall, the tallest building on the Xavier University campus. The other day there was no one on the rooftop patio but me and my Gossen Tippa Pilot. 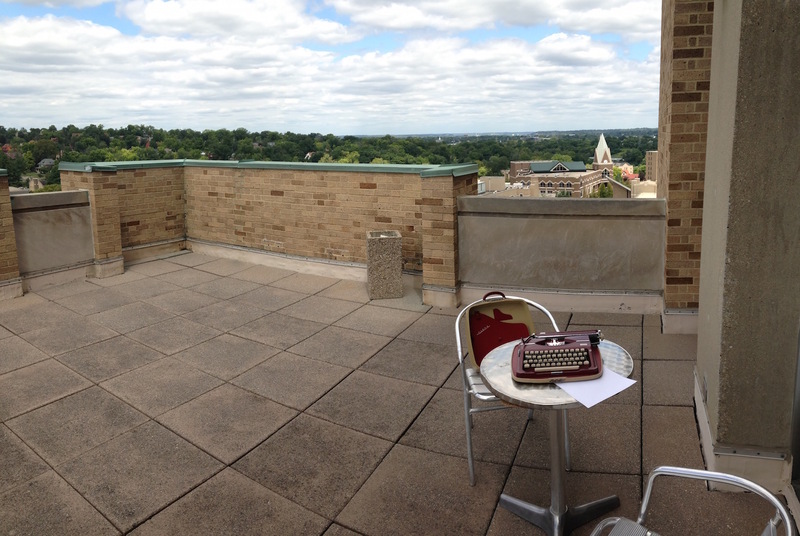 The weather was perfect and it would be hard to imagine a nicer spot for some typing. I was commissioned to write a story titled "Ten Reasons to Still Use a Typewriter." I'll let you know when it appears online. 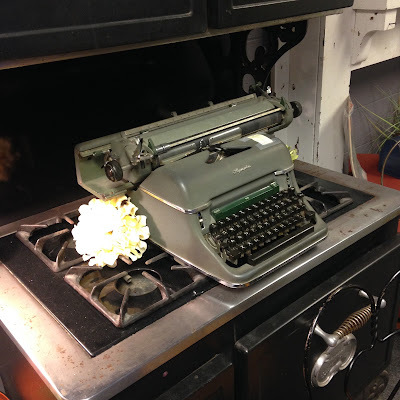 I figured I'd be an utter hypocrite if I didn't write the story by typewriter—and I think I did produce a strong first draft. After typing, I enjoyed the view. 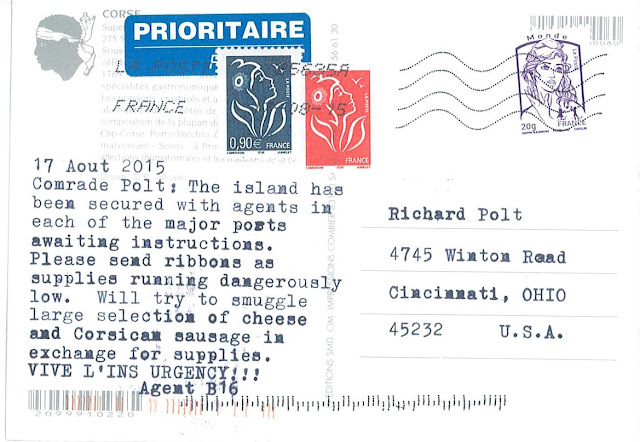 Thanks for your letter! That really is a beautiful typeface. Do any readers know what it's called? Readers who know how to make image maps are officially given license to scoff at my clumsy listing of the links that Mr. Boersma provided by e-mail. 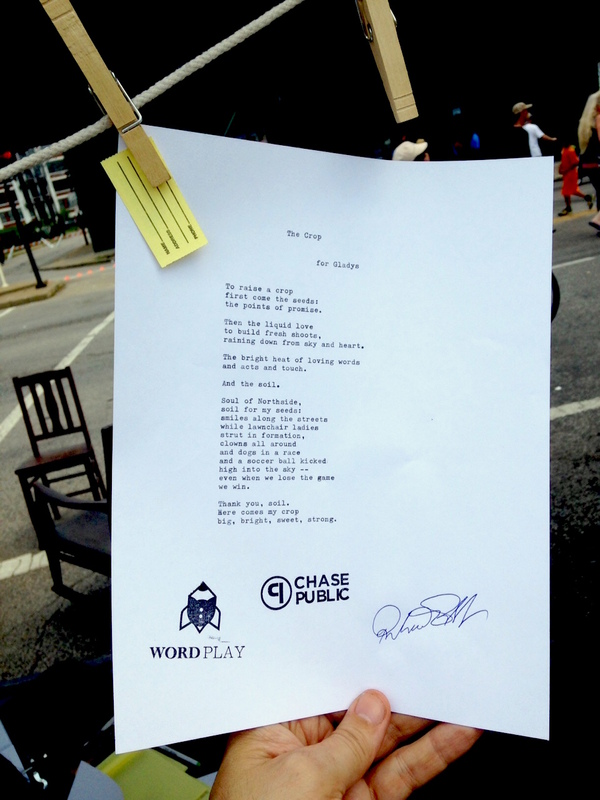 Today's street fair in Cincinnati's Northside neighborhood featured a collaboration between the neighborhood's two typewriter-loving institutions, WordPlay Cincy and Chase Public. Kids and volunteers from WordPlay joined writers from Chase Public to type stories (or poems) on demand for the passers-by. There were plenty of takers. After interviewing the person commissioning the writing, the writers brainstorm and sit down at their machines. 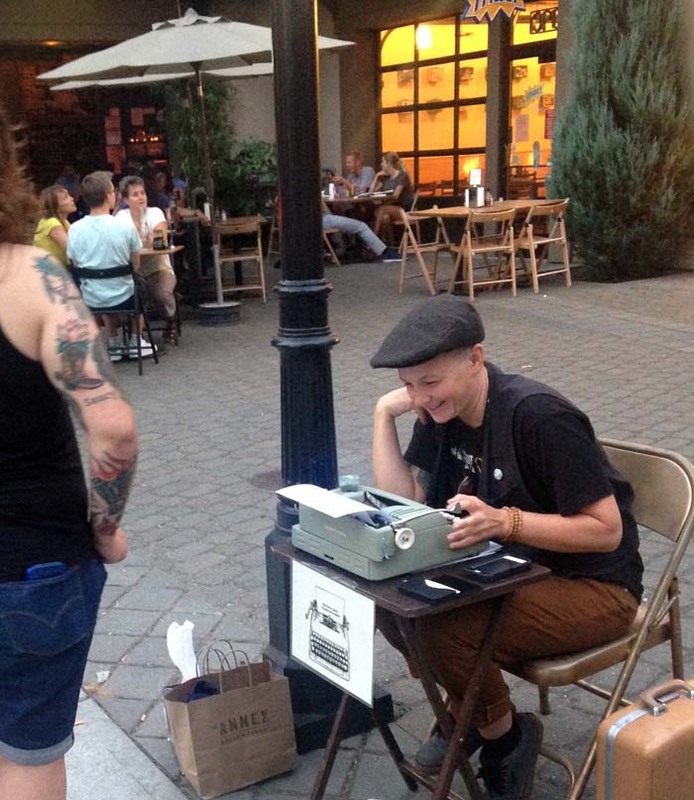 The typist on the left was asked to write a poem about the experience of stepping on a screw. She came up with the perfect closing line: "Twist and shout." 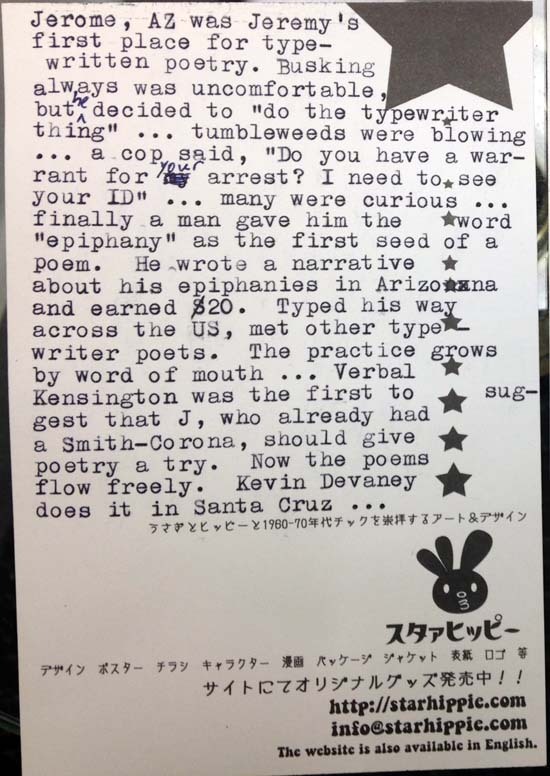 Everyone who asked for a story got a ticket which they could match up with their finished piece as they checked the clothesline full of typescripts fluttering in the breeze. The view from behind a typewriter. 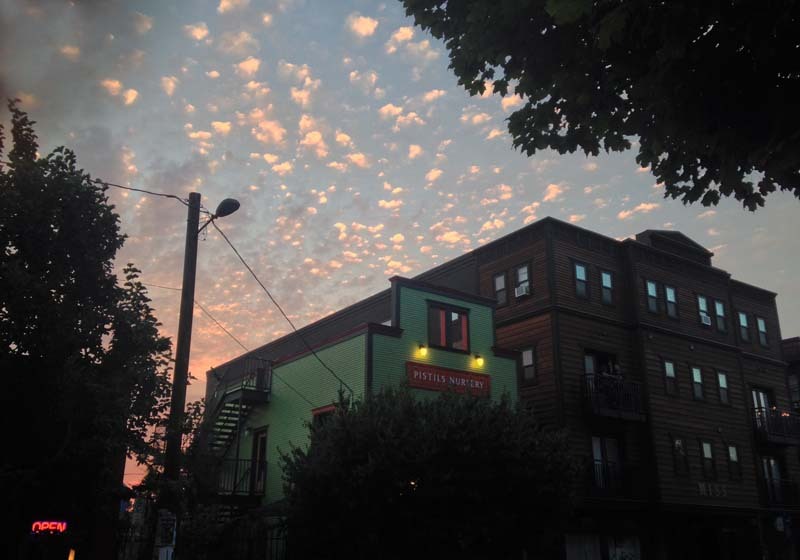 There's some tension and excitement as you work on your text, and it's not so easy to concentrate when belly dancers are undulating to loud music nearby—but you must produce something, there's no going back. I'd had the experience once before and was delighted to be invited to participate again. Here's a poem I typed for a mother who wanted one about how Northside was a great place to raise kids. Also typed: a story about a dragon attending a new school, and one about a two-inch-tall boy who gets a new qPhone. (The Lawnchair Brigade is a traditional part of the Northside Fourth of July parade. Revoluciono don le kompartimento postalnie: Gina Capperi, martiro? 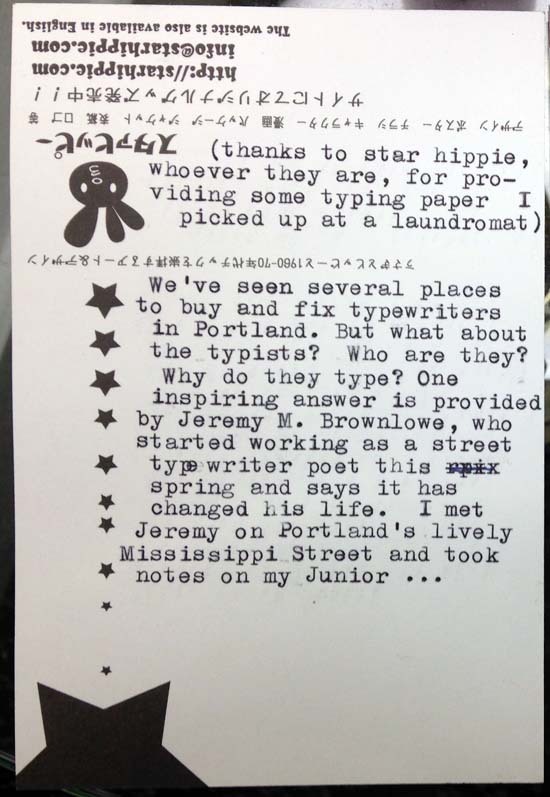 How should we, your public, purchase The Typewriter Revolution, so as to most-benefit the artist? I'm not giving Amazon a cut of this! Does pre-ordering from IndieBound do you the most good? I don't mind pre-ordering, but you know that we will want to get our books signed by you, eventually. Will you be on tour, in November? 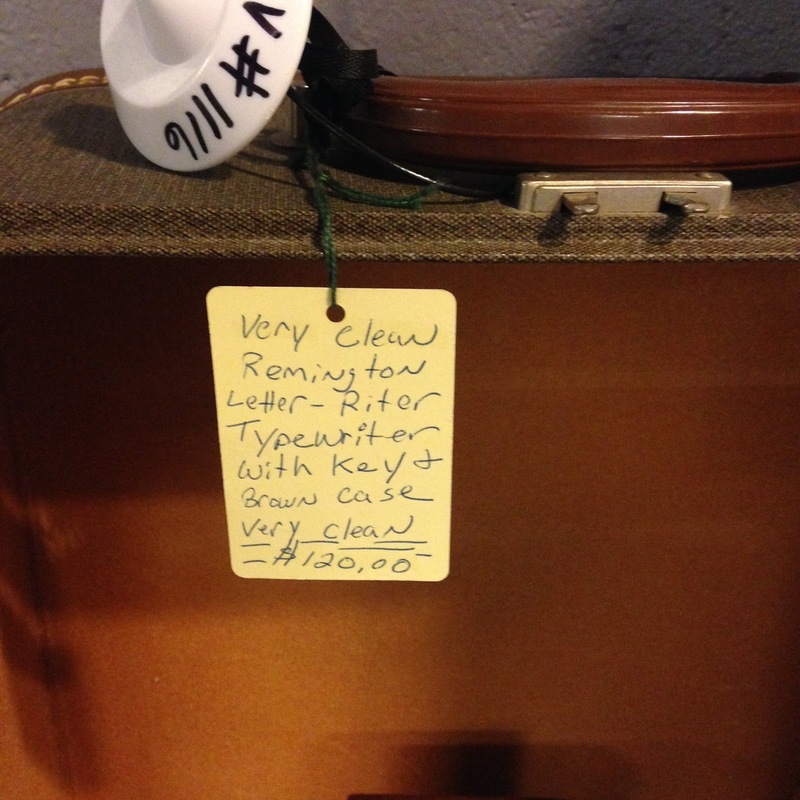 Selling them out of the trunk of your car? And signing them? I don't Facebook, or anything social, so I don't know what might be going on, there. Please do *not* answer this e-mail. However, your public has these questions. I will look for answers to my questions there, when you have the time. Apologies, if I have overlooked this information, available elsewhere. We folk on this side of the Digital Divide don't always get the news. Please post, whether there will be a book tour -stuff like that. I don’t know whether it will make any difference to my royalties where you buy the book, but I definitely favor supporting your local independent bookstore. IndieBound looks like a convenient way to do that. 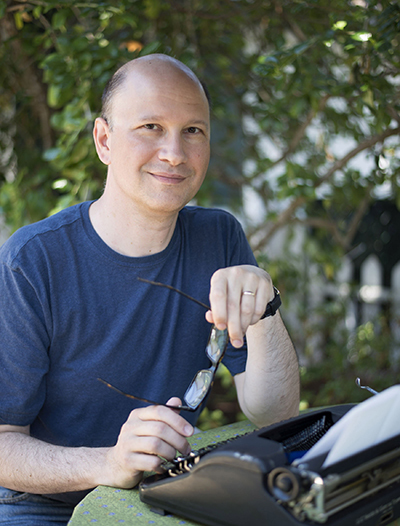 I’ll be at the Miami Book Fair in late November, I'll do some signings in the Cincinnati area, and I also hope to arrange some signings in the SF Bay Area and LA area in December. Possibly something in DC in January too. And I’m always glad to sign a book by mail! 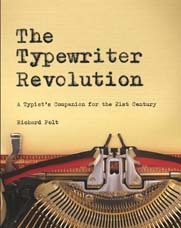 As such events approach, I'll make sure to announce them here, on typewriterrevolution.com, and on other media. “Flexibound” is something between a hardback and a paperback (it’s not spiral bound). It’s a flexible cover that is durable. 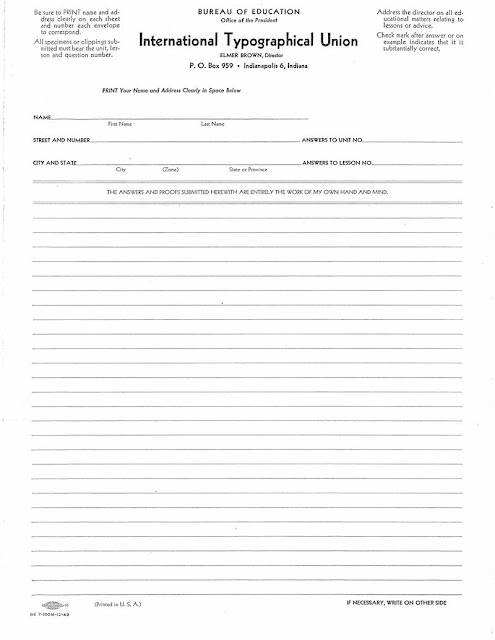 I think it will be nice, although I haven’t received a printed copy. I hope it will make the book feel like a rugged field manual for the insurgency. This is the last of my reports from the land of bikes, beer, books, beards — and typewriters. 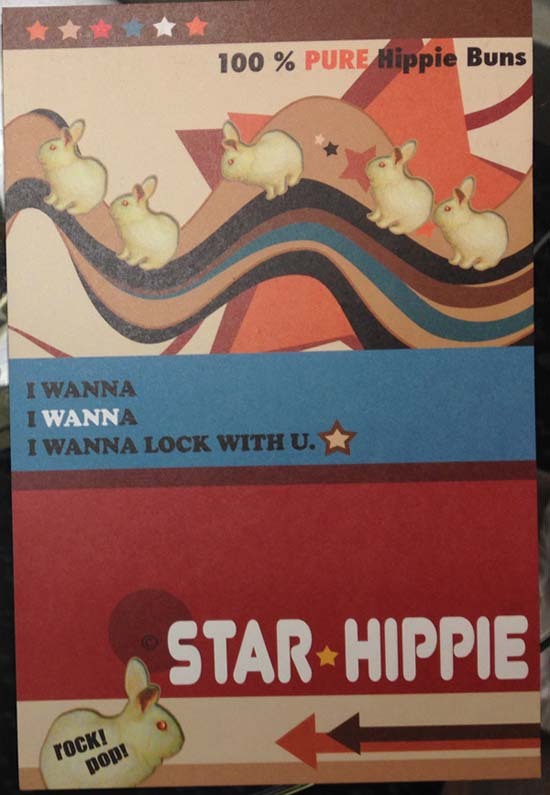 PS: And be sure to support starhippie.com, whatever it may be. 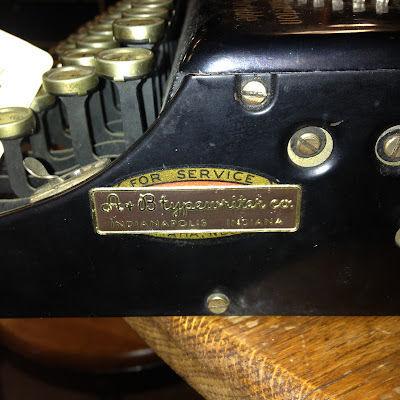 Richard Polt has been pursuing his love of the typewriter for more than 20 years as a collector, webmaster (The Classic Typewriter Page), blogger, magazine editor (ETCetera), repairman and frequent typist. 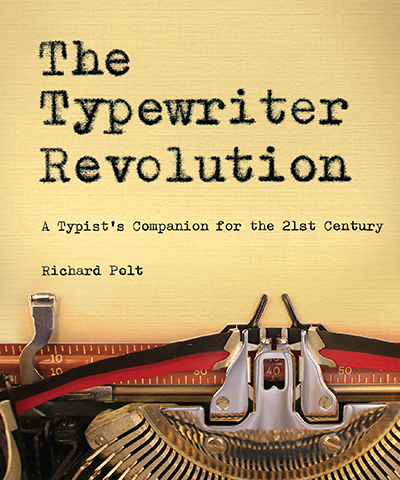 In The Typewriter Revolution: A Typist’s Companion for the 21st Century (Countryman Press, November 2015) he explores creative uses of typewriters today — including unexpected intersections between typewriters and art, music, politics and the digital world. The book also advises readers on choosing, using, modding (modifying) and maintaining a writing machine of their own. 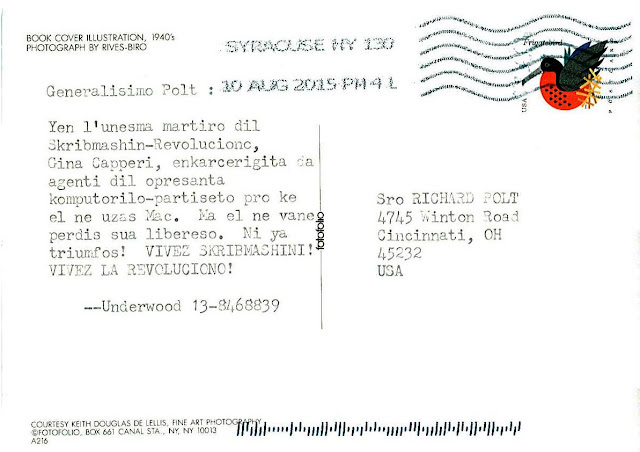 When he is not spearheading the typewritten revolution, Polt teaches philosophy at Xavier University in Cincinnati. 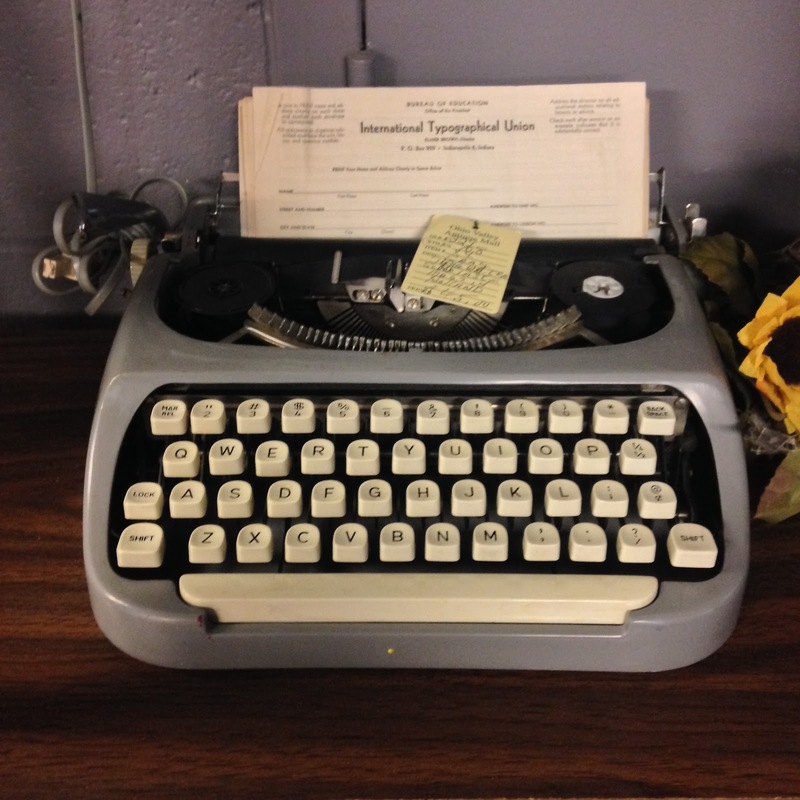 What was your first experience with a typewriter? 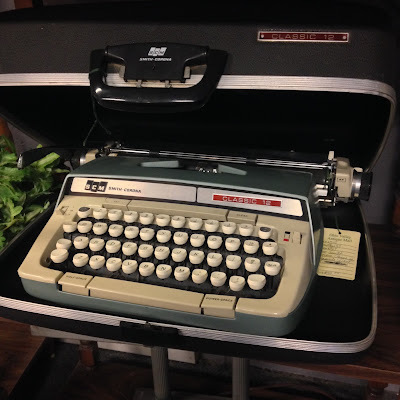 I remember my father writing academic papers on his electric Smith-Corona, and my mother using a large-type Woodstock to prepare dittos. I always felt the machines were magic. Like musical instruments, they’re finite devices with infinite potential. That feeling has never disappeared. What was the first typewriter you owned, and how many do you own today? My father bought me a 1937 Remington Noiseless Portable #7 when I was about 12, and it’s still my sentimental favorite. 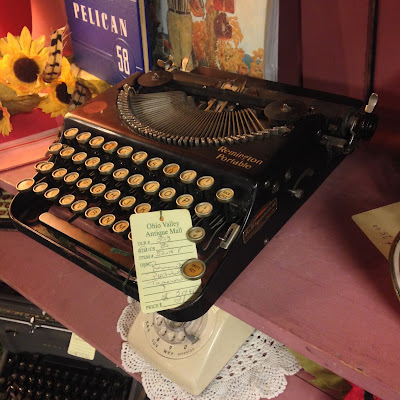 After 20 years of collecting, I have some 300 typewriters, ranging from an 1875 Sholes & Glidden to a Royal portable made in China just a couple of years ago. 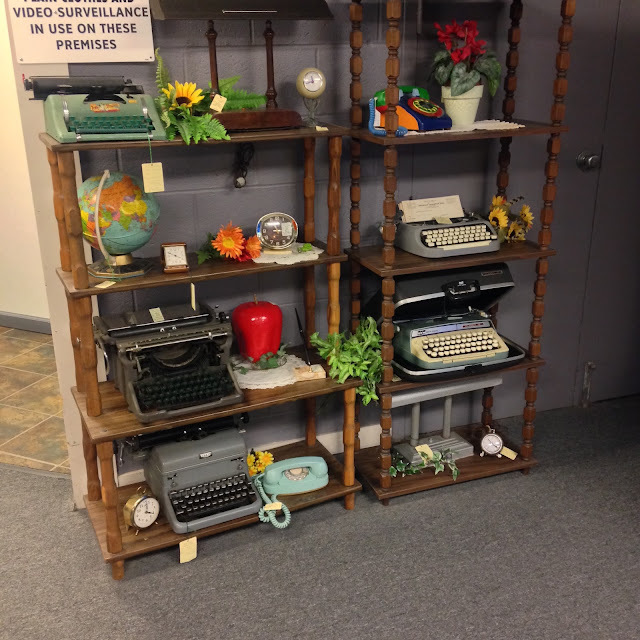 There are so many designs that collecting typewriters is an inexhaustible hobby. Using a typewriter is such a visceral joy. How do you compare it to using a digital keyboard? You said it! 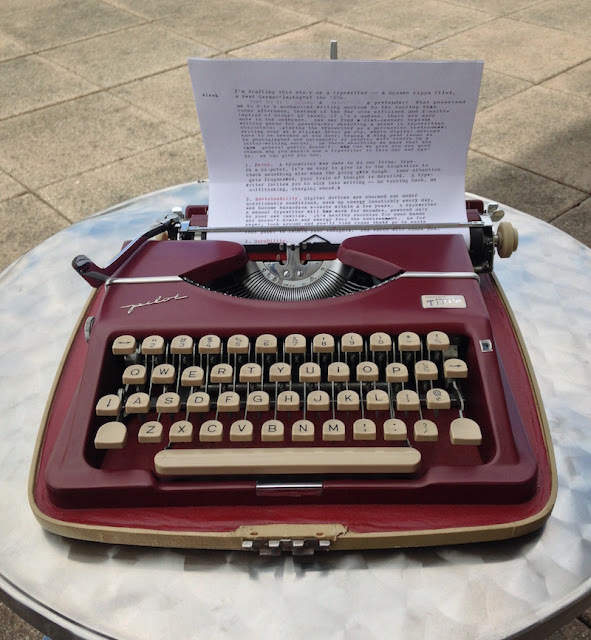 A keyboard is a comfortable, quick tool for making text, but sometimes the journey is the destination: you want to experience the act of writing as a pleasure in itself. 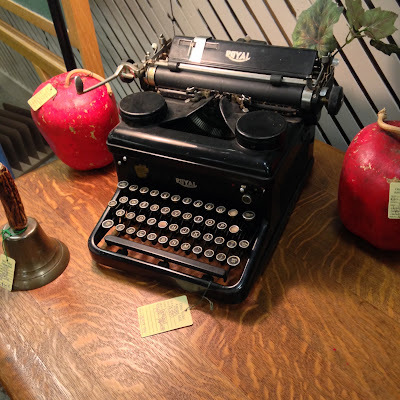 Then it can be great fun to feel the springy snap of typewriter keys, hear the tapping and the bell, sense the heft of the carriage as you return it, and admire the look of a well-designed machine. There’s even an alluring aroma of ink and oil. 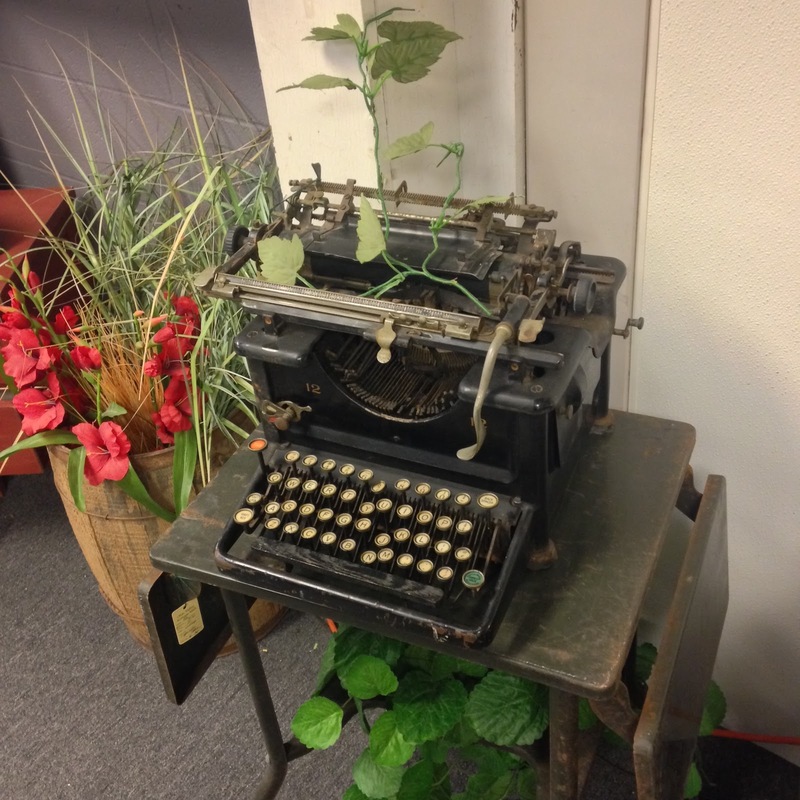 Typewriters have largely been replaced by computers. 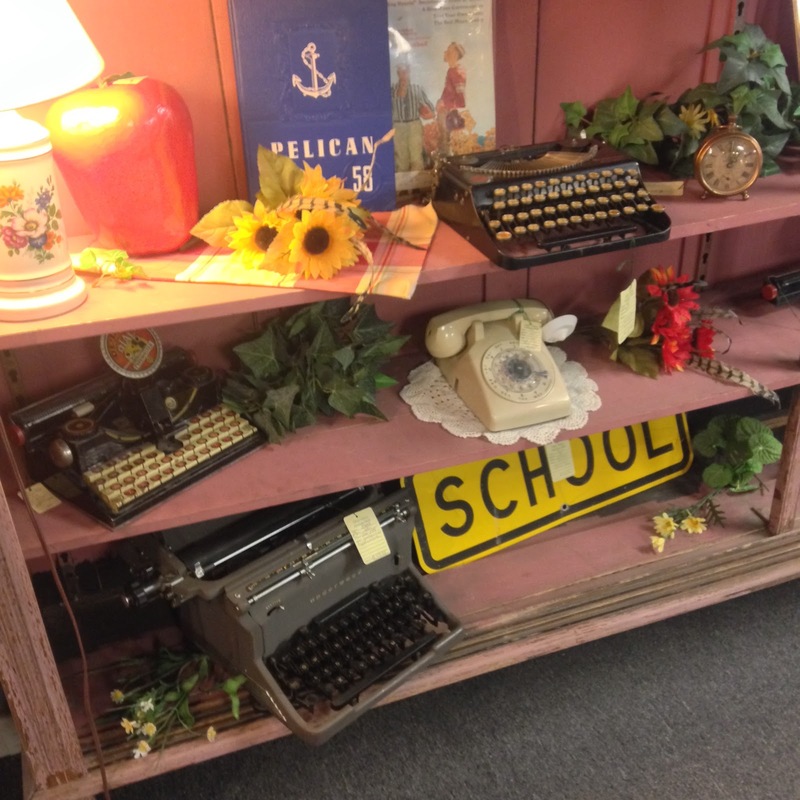 Are they experiencing a resurgence for nostalgia’s sake or other reasons? Is it hard to find ribbons and parts for a typewriter, or find someone who still repairs them? 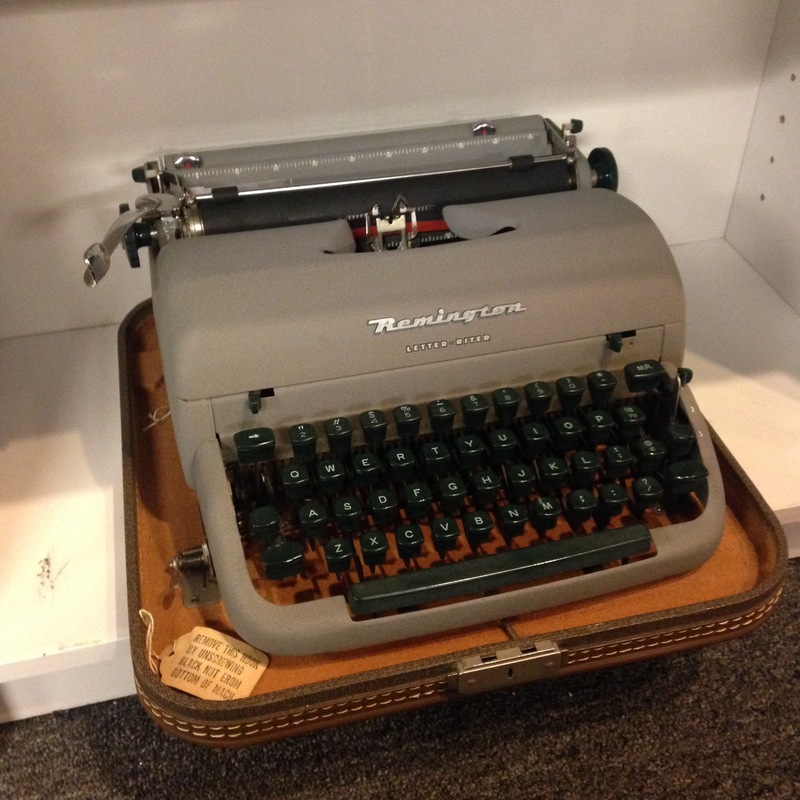 You’d be surprised how many typewriter mechanics are still doing business, either in shops or from their homes. Thanks to online sources and groups, it isn’t hard to find parts unless you have a really uncommon model. And ribbons are readily available. 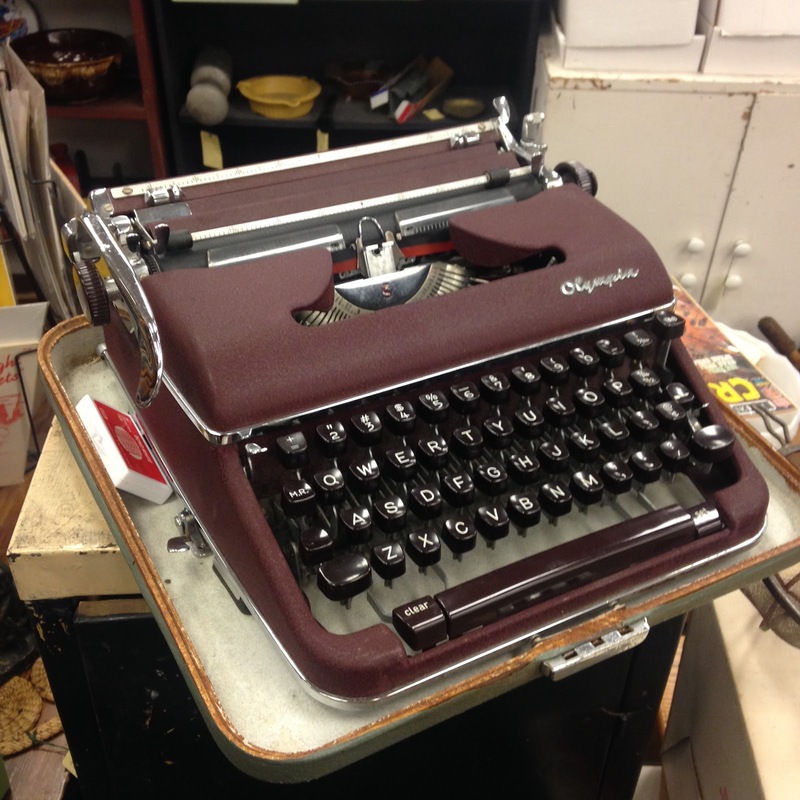 I maintain a list of repair shops on The Classic Typewriter Page and list some ribbon sources in my FAQ. Tell us about events like New York City’s Typewriter Project and Type-Ins to get people to go analog. 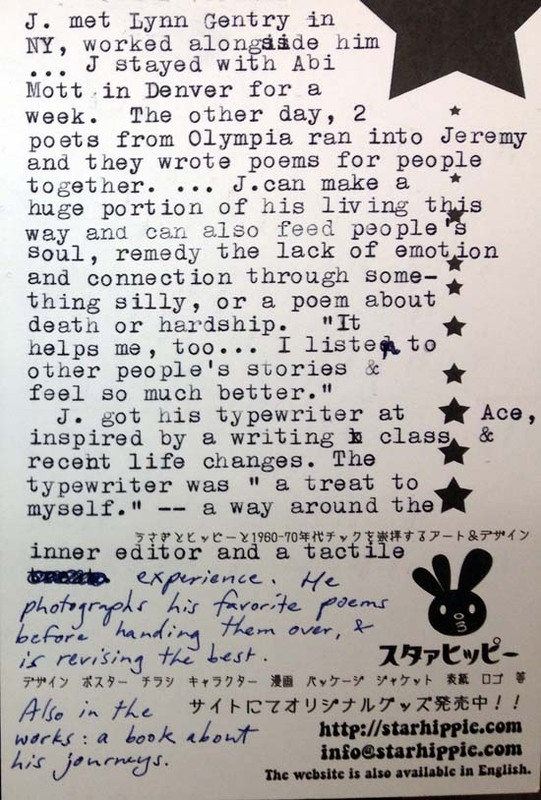 Typewriters can help individuals get back in touch with themselves, but they can also create deeper connections with others. 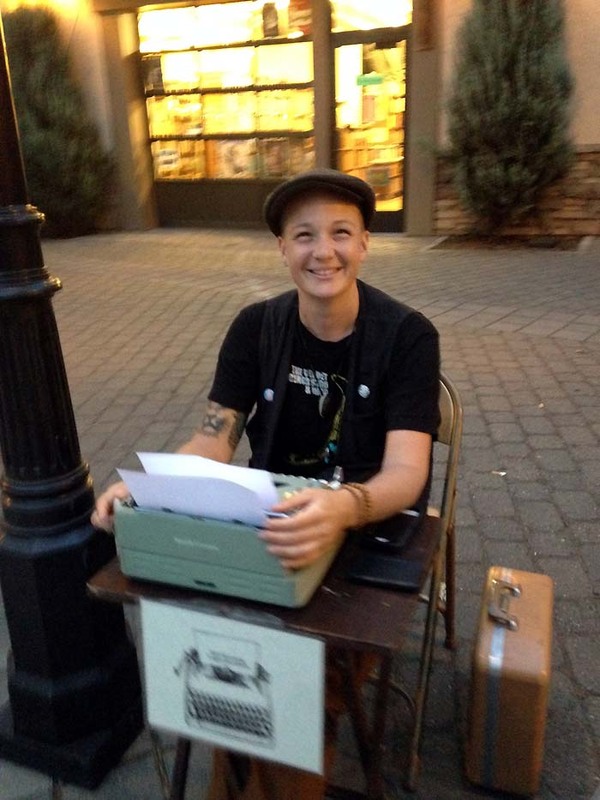 The machines become the occasion for collaborative creation as in the Typewriter Project, or for spontaneous encounters more satisfying than the typical online experience. You find typewriters at social events such as digital detox parties, snail mail socials and type-ins, where people and their machines get together for typing, chatting and fun. 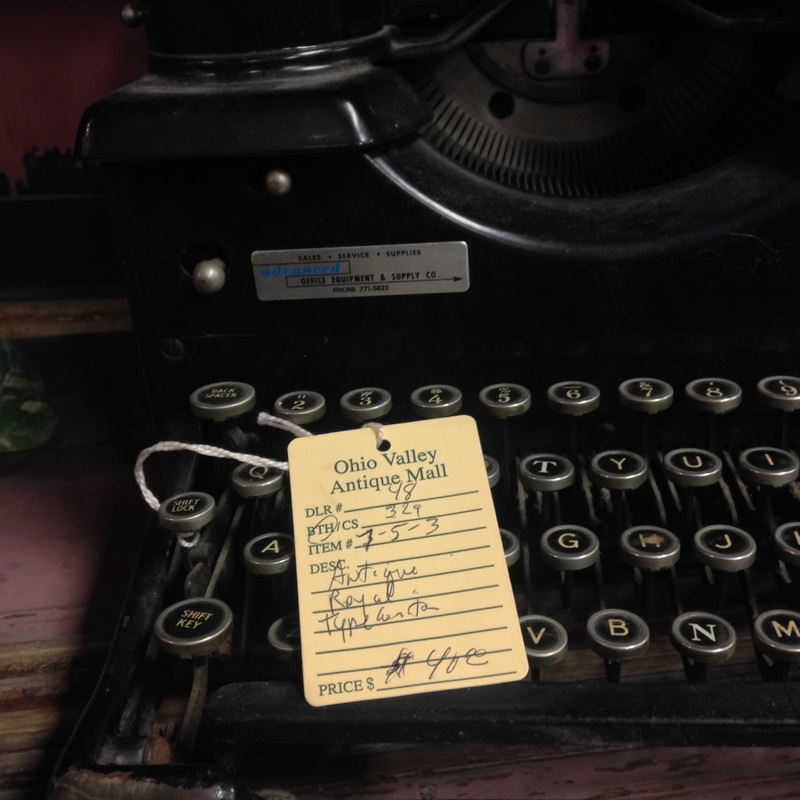 I’ve organized and attended a few type-ins and had a great time. How big is the typosphere’s fan base, and is it global? 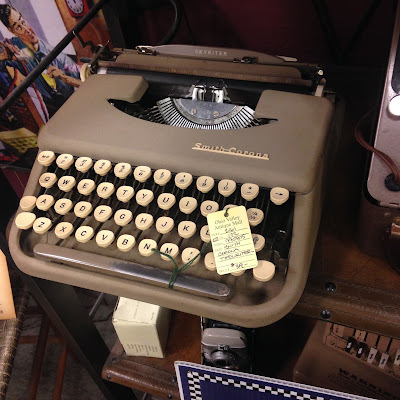 The typosphere in the narrow sense is a set of blogs that discuss typewriters and may even be typewritten. There are about 100 of them, mostly based in the English-speaking world but some in German. 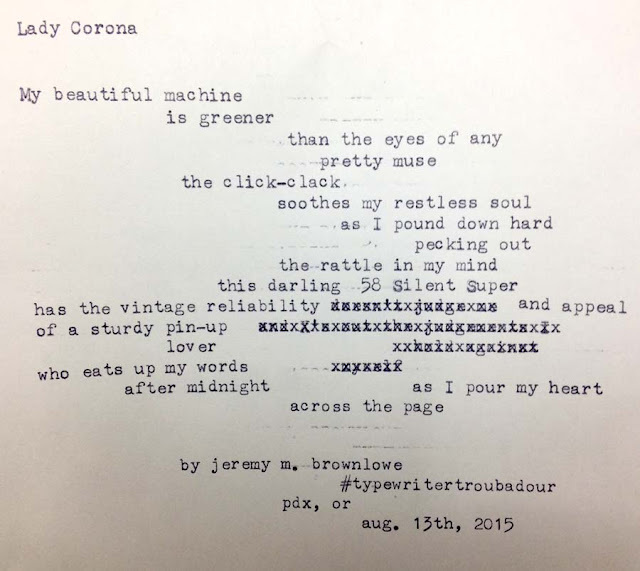 In the broader sense, the online typewriter world includes a lot more, such as hundreds of writers who post typewritten poems on Instagram, or a Facebook page where a Pakistani typist shares with over 70,000 followers. 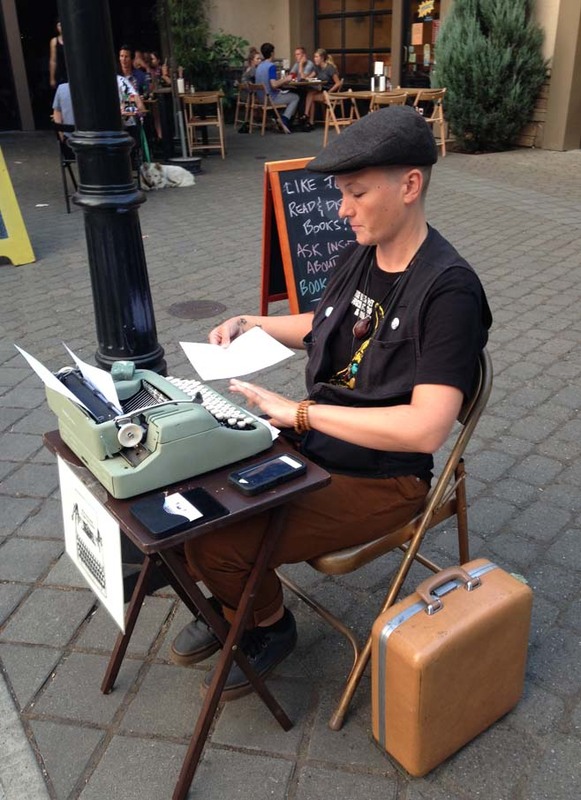 I’ve seen a surge in typewriter love in Turkey, India and Singapore. And what you see online is just the tip of the iceberg.